Seidlitz Family Blog: Adam's at it again! OK, like the last several posts, we are continuing our focus on Adam. 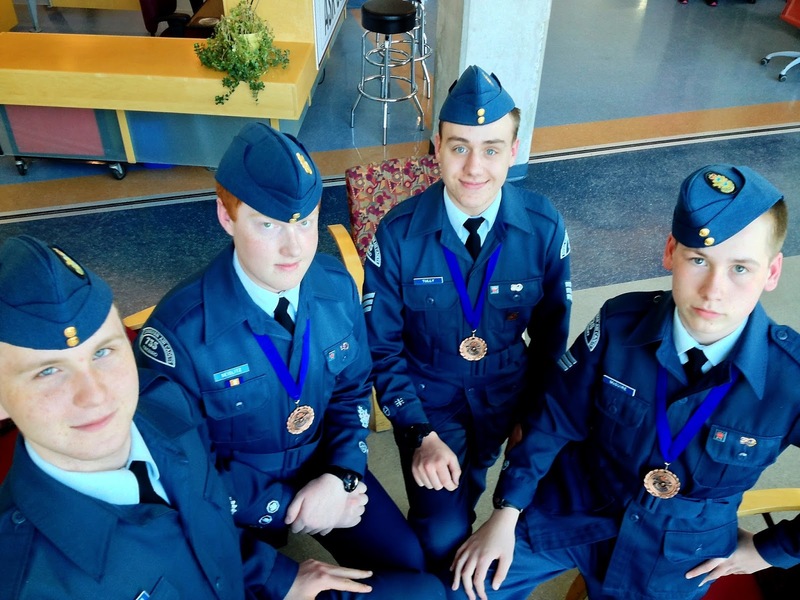 Today was the Air Cadet Ontario Provincial Committee debating competition, so we took Adam and several of his team members to Mohawk College for their debates. Just like last year, Wendy and I were volunteer judges. Twenty two teams of Air Cadets battled it out to the final two for the final debate. When all the dust had settled, Adam's team came in 3rd place! Not bad, considering the competition was from across the entire province.